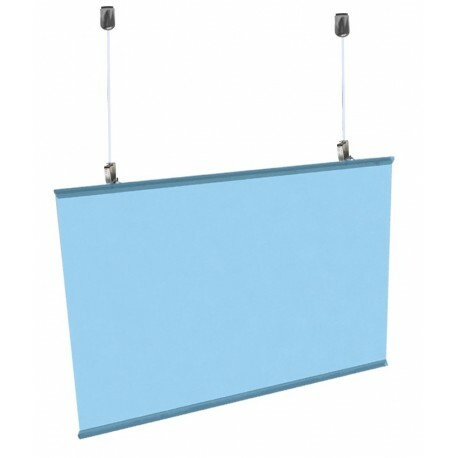 Kit to hang Clear Nylon poster hanger from ceiling. 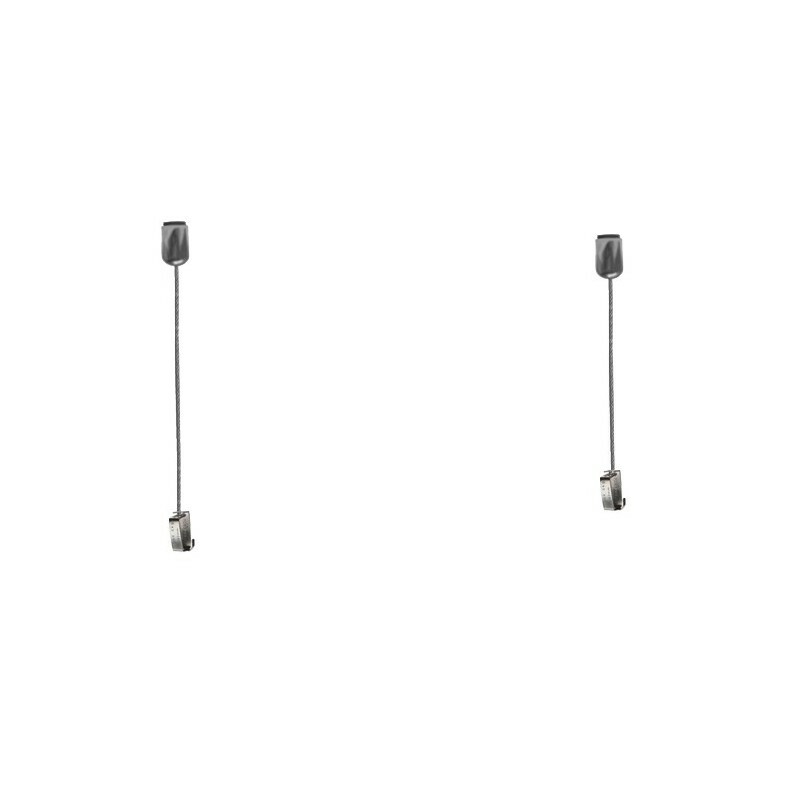 Comes with 2 Meter long steel or clear cables which can be cut to size. (Longer cable can be provided on request). 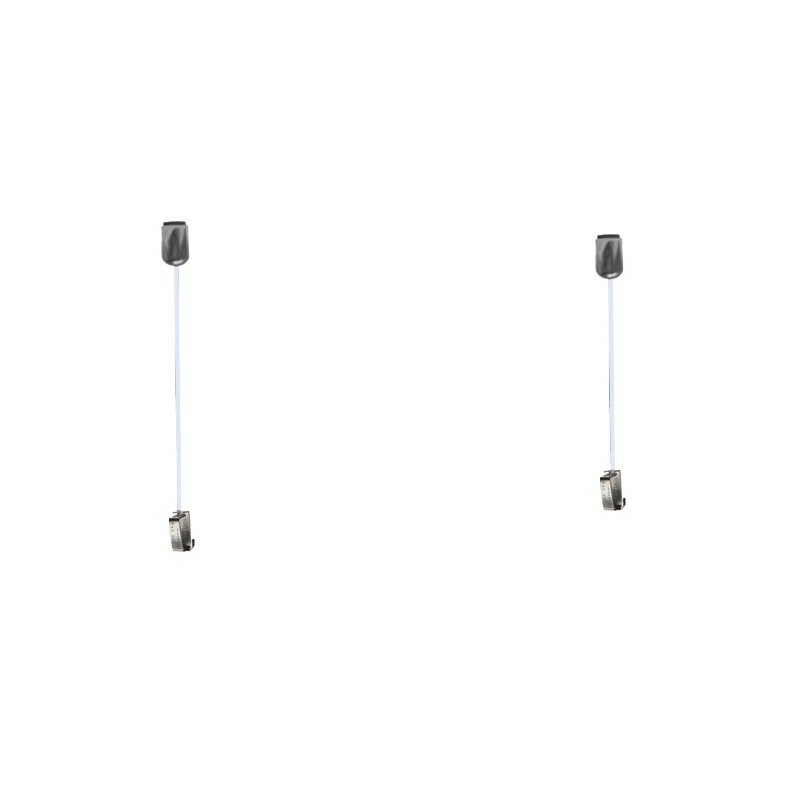 Cable Hooks you can slide up or down to adjust the poster height. 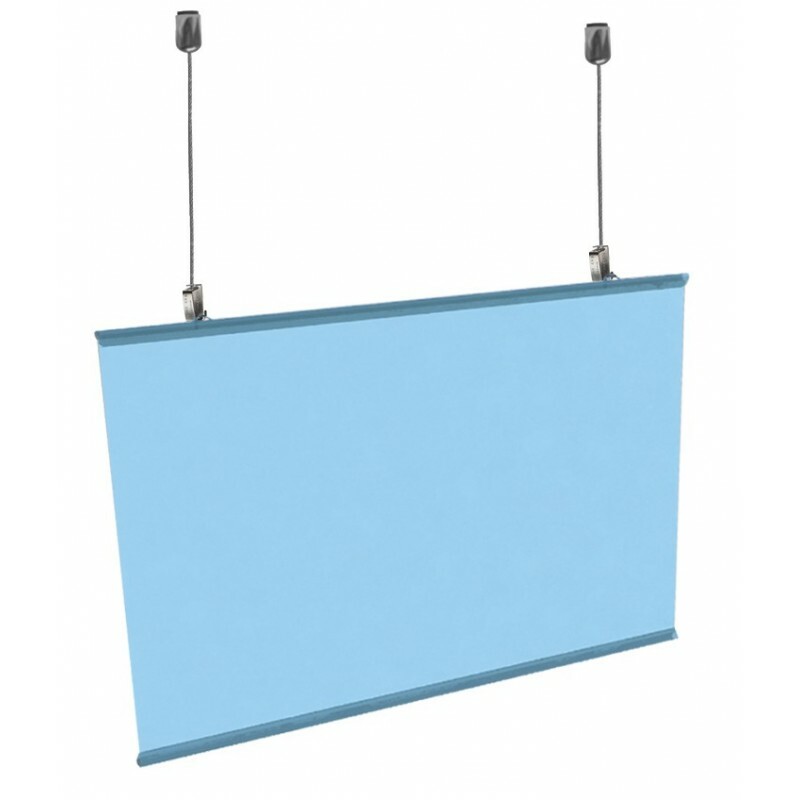 Ceiling Mounted poster hanging kit also called banner hanging kit. With this kit you can adjust the banner height or add & remove banner from hooks without any screwing OR un screwing. Ideal for signage displays or foam boards with holes in each corner.